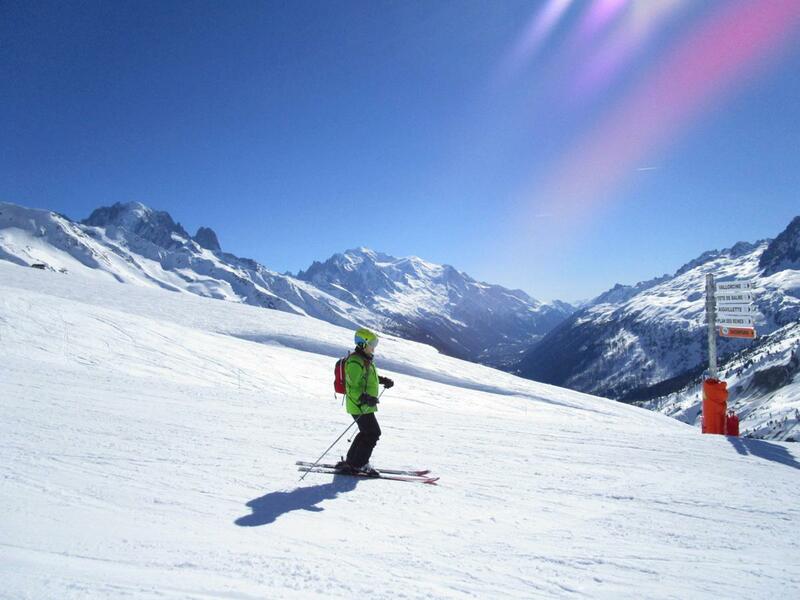 Some more fresh powder last night, and now the sun is back with us in Chamonix! After a sunny and warm Saturday, skiing the leftovers of the thick and heavy powder, we had mostly clouds and a lot of wind on Sunday, and then Sunday afternoon and evening it snowed around 20 or 30cm of super light fluffy powder above 2000m - what a contrast this morning when the sun came out. Brevent was great early on, and while today's forecast was set to be mainly cloudy, there was actually quite a lot of sunshine for much of the day, between rising clouds this afternoon. The new snow was really good quality. There wasn't quite enough of it to cushion the hard crust underneath, except on flatter terrain, and more northerly slopes where the underlying snow is softer. Groomed pistes were in great condition: coverage is excellent, especially above 1800m, and the new snow has really softened them up. As the morning progressed, the higher lifts opened up after avalanche control. Eventually, the snow in the direct sun was getting warm and heavier, but the air stayed pretty cool today. That particular storm cycle seems to be over. There is lots of sunshine predicted now for the rest of the week, and with the longer days and higher sun angle, we should be getting some spring snow conditions (hard snow in the mornings, and slushy snow later on), especially on South facing slopes. 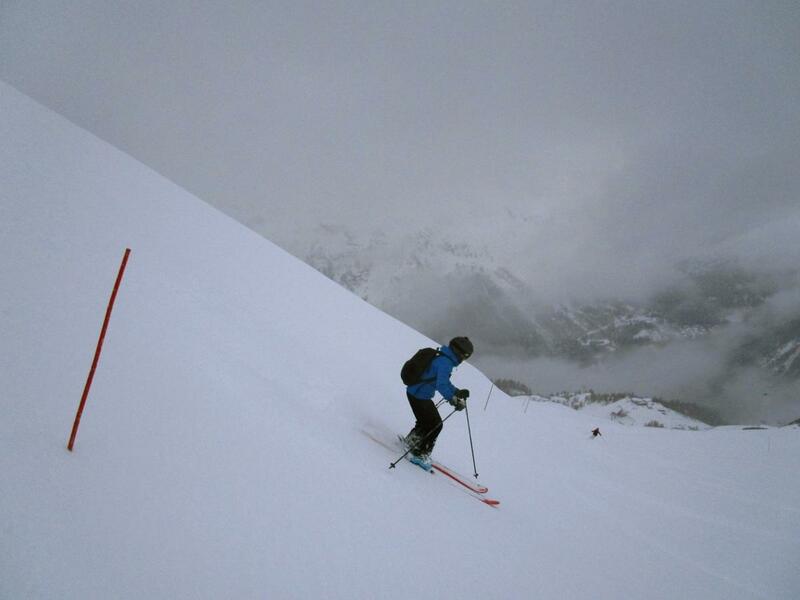 There should be some good ski touring this week, as the snowpack is a bit more stable (avalanche risk 3 out of 5 now).